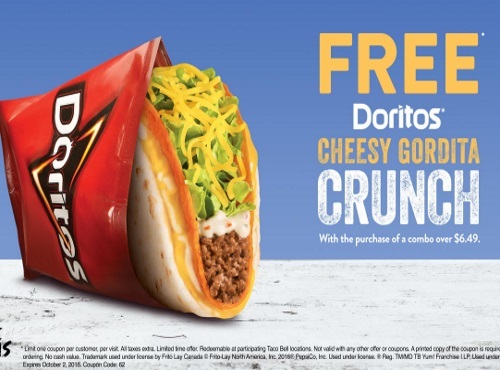 Get a Free Doritos Cheesy Gordita Crunch at Taco Bell with the coupon below. Offer is valid when you purchase a combo over $6.49. Coupon expires October 2, 2016.